Welcome to Phoenix Skin Spa! The first of its kind in Arizona, Phoenix Skin Spa is a physician-directed medical spa with a unique approach to skin care. We provide treatments and home care regimens that remove the confusion out of skin care and leave you feeling confident, informed, and looking your best. Our spa treatments are broken down into three categories: Rebalance, Rejuvenate and Restore. 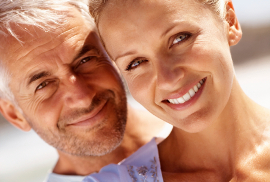 Each 30-minute appointment consists of a state-of-the art treatment plan specifically designed for your skin type. Plus, recommendations for a customized skin care kit containing medical grade skin care products. All spa treatments are safe for all skin types and tones. Looking for more? Take a peek at our expanded menu with a wide range of services including: Botox, Dermal Fillers and the most advanced lasers on the market for skin rejuvenation, hair reduction and tattoo removal. The Three R’s: Which One Are You? Radiant: If none of the descriptions above match you, then congratulations, you must be Radiant! Please tell a friend about us and take a look at our expanded menu of services! 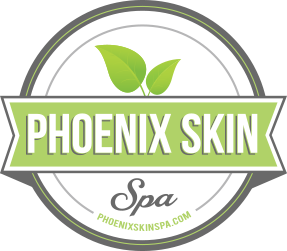 At Phoenix Skin Spa, we take pride in caring for our patients, that is why all treatments are performed by board certified professionals.